Wales already has some fantastic running events. From the Snowdonia Trail Marathon to Anglesey Half there’s lots going on for runners. Now there’s a new event in Wales which looks set to become a classic – the SportPursuit Conwy Marathon! The first event took place on Sunday 31st March and more than 250 runners descended on Llandudno Promenade. 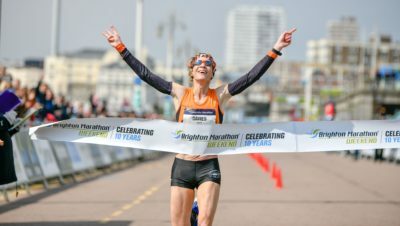 Organised by Always Aim High Events, the inaugural event is the first full road marathon to be staged in Conwy and the first in Always Aim High Events’ history. 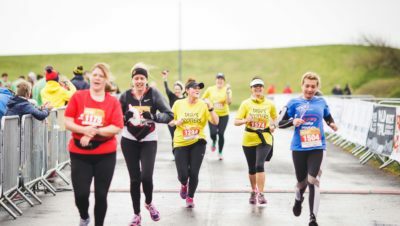 Attracting all levels of runners, the SportPursuit Conwy Marathon had everyone from experienced marathon runners and endurance athletes to those who are looking to take on that extra challenge for the first time. Runners even enjoyed near perfect weather conditions. The route took runners around the awe inspiring Great Orme, The Conwy Castle World Heritage Site, to the beautiful Colwyn Bay Promenade before doubling back along the stunning beachfront to finish back in Llandudno. Covering 26 stunning miles of Conwy coastline, the route combined fast running and quiet country roads to give the perfect marathon experience. 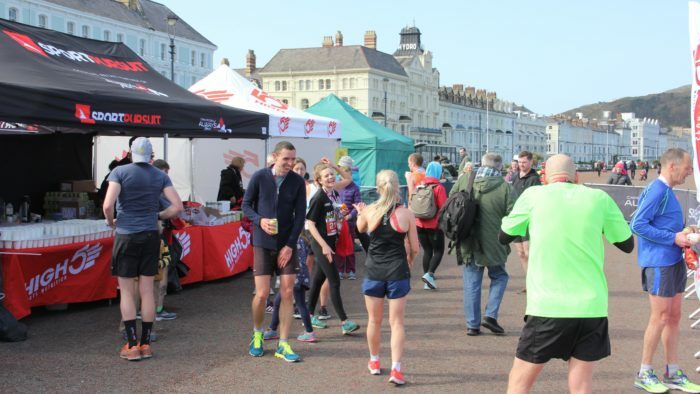 The start and finish line on the iconic Victorian Promenade in Llandudno attracted over 1000 spectators to cheer the runners out and welcome them back at the end of their adventure. 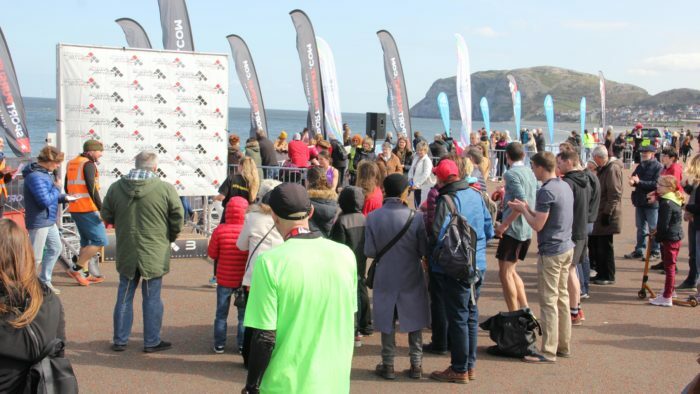 With all of the participants, the first year of the SportPursuit Conwy Marathon has attracted an estimated economic boost of approximately £500k to the area of Llandudno and Conwy over the weekend. 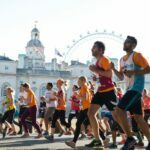 Looking at the stunning scenery, the awesome course, and the amazing welcome the runners receive, this event looks set to become a firm favourite on the UK marathon scene. The women’s race was won by Andrea Rowlands (Eryri Harriers) with a time of 03:11:21. The battle for second and third was a very closely fought affair with Miranda Frudd beating Jennifer Houghton (Kirkby Milers) to the line by just 2 seconds! The men’s race was another close run thing with Martin Green (North Wales Road Runners) taking the win in a time of 02:44:47, with Alan Bodden in second with a time of 02:52:12 and Ian Edwards (Eryri Harriers) 02:52:48. “We’d like to thank all of the race partners, in particular the headline sponsor – SportPursuit and Conwy County Borough Council for their continued support. As well as all of the local communities that turned out to support the runners around the course. Lastly, we’d like to our amazing marshals and volunteers, without whom we the race just wouldn’t be possible”. 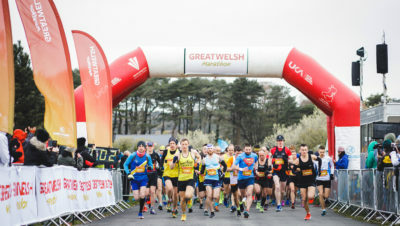 Full race timings for the 2019 SportPursuit Conwy Marathon can be found at tdleventservices.co.uk.